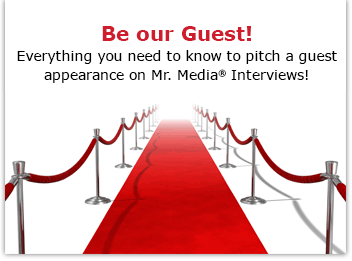 Mr. Media is recorded live before a studio audience of patients who laugh in the face of chemo and radiation but wish they could stomach the content of this show… in the NEW new media capital of the world… St. Petersburg, Florida! Creative people are growing more willing to laugh in the face of cancer. Ever seen the Showtime comedy “The Big C”? The main character, Cathy, makes jokes about being diagnosed with cancer, surviving treatment for it, and defying it to take her on again. Of course, the show has also included a storyline about her talking to ghosts and having an affair with Idris Elba, so maybe that’s not the best example. And then there is Katy Franco’s new children’s book, Chemorella, a modern take on fairy tales such as Cinderella, right down to a missing shoe. Franco, a breast cancer survivor, and her husband, Ken Phillips, have produced a charming children’s story about a single young woman who must choose between hair and life when she is diagnosed with the Big C.
As a dad, and someone who went through a bout of Non-Hodgkin’s Lymphoma just a few years ago, I can see this being a great tool for teaching young girls to cope with the disease. And it might even be a salve for grown women, too. The book, with illustrations by Scott Sackett, is presented in side-by-side English and Spanish. It’s a sweet book and its author is here to talk with us about it today.